that ear cuff looks good on you! love love love your flats! xO! Gorgeous!! 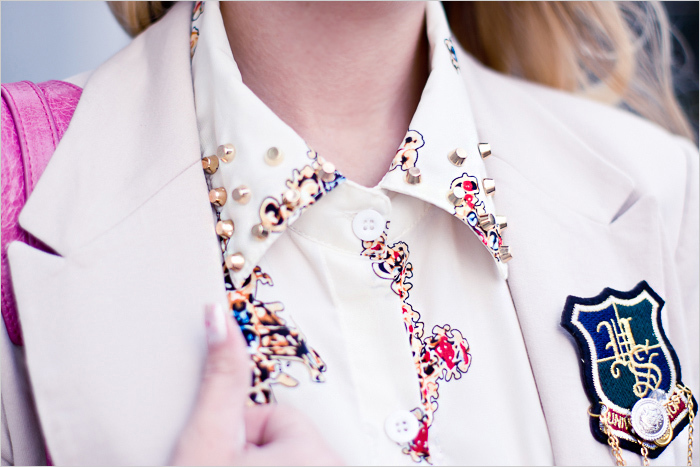 I love the studded collar on the shirt and the earring is incredible! Your face and hair are so pretty! This is another classy and preppy look for you from the blazer to the oxford shoes. Love the printed shirt and blazer!